Bohol-Panglao International Airport has started operation yesterday. All operations have been transferred from the old Tagbilaran Airport to the new Bohol-Panglao International Airport at 6 am on Wednesday, November 28. The old airport in Tagbilaran is now closed. This means that the new Bohol-Panglao International Airport will be the sole commercial airport that will serve the province. 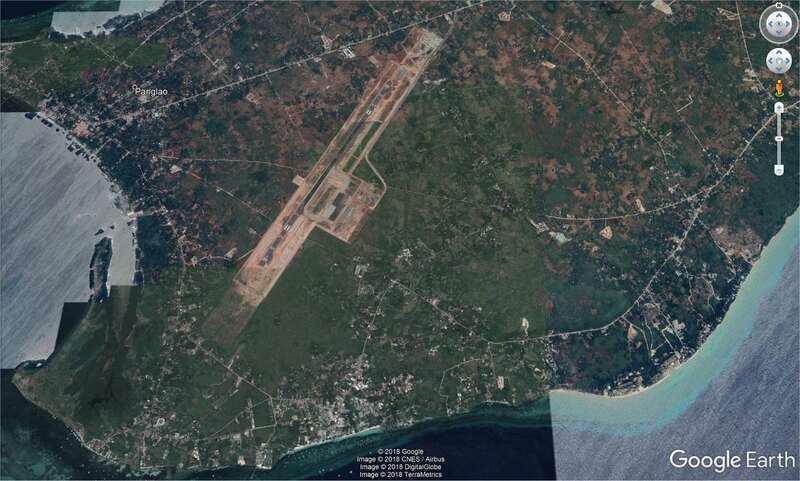 The new airport is 40 minutes away from Tagbilaran City. 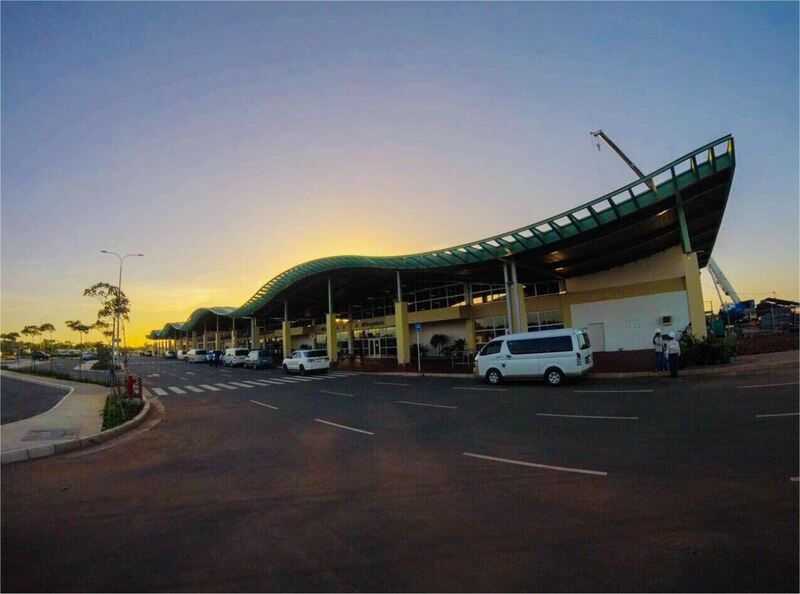 The new Bohol airport, which can accommodate up to two million passengers yearly, is described as a “total upgrade” from the Tagbilaran Airport. We have already updated our Philippines Airports Database. But many other services are not yet up to date. Google maps shows flat terrain and on Flightradar24 the planes land in the pampa. 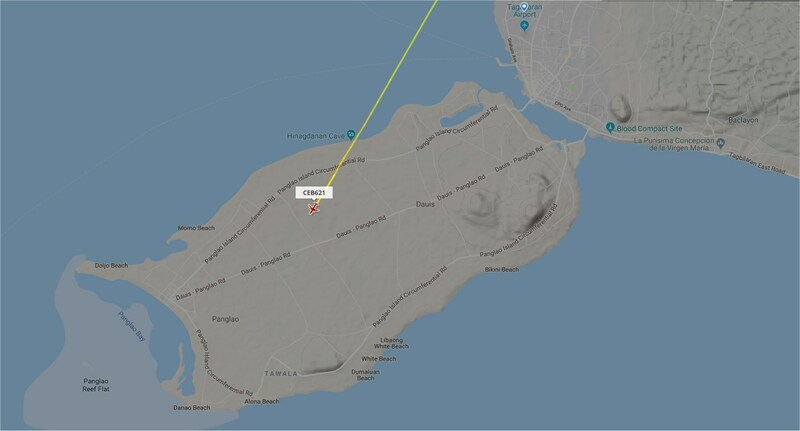 This had been Cebu Pacific Flight 5J621 this afternoon just at the moment it touched down. Fortunately the aerial image on Google-Earth is much newer. This picture had been taken on August 13, 2018. At this moment flights link the new airport with Manila, Cebu, Davao, Cagayan de Oro and Angeles City (Clark). The first international destination is Seoul (Korea). The next new airport in the Philippines will probably be the New Bicol International Airport outside of Legazpi City. Another airport project is Bukidnon Airport between Malaybalay and Valencia in Central Mindanao. Previous story Incredible News from Cebu Pacific Air – more baggage!